When leading any team managers need to be able to set goals that motivate and sales marketing management is no exception. But there is a fine line between setting goals that challenge and inspire and using high targets to browbeat sales team members. Sales marketing management professionals need to be able to set goals that are achievable at a stretch rather than setting them so high that they are demoralising. These goals are more likely to be sales targets when the team is a pure sales team rather than a sales and marketing team but they shouldn’t all be sales targets. Goals that cover personal development and behaviour will also help build a strong team. The key to setting useful and useable goals is to set boundaries around them and agree them with team members. A useful acronym is SMART, which reminds us that goals should be specific, measurable, attainable, realistic and time-related. Sometimes, as attainable and realistic can be sides of the same coin, the 'A' is used to represent 'agreed'. It is suggested that many goals, particularly sales goals, should be discussed and agreed with each sales team member so that they buy into them more readily. 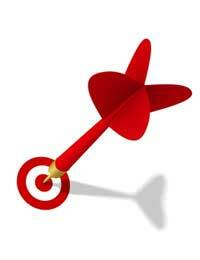 Sales targets are usually easy to come up with in a way that conforms to the SMART model. It's natural to say, for example: 'let's see if we can hit three hundred thousand units this quarter'. This is specific and it can be measured, as well as being set within a particular time-frame. Whether or not it is achievable or realistic depends on the selling climate and the strength of the product, something that sales marketing management can thrash out with sales team members. It's harder to create SMART goals for other aspects of personable development. A goal that asks a team member to be 'more of a team player this year', for example, is neither specific nor measurable. Something this nebulous is probably not suitable for setting as a goal at all and should be tackled with a different management technique instead. But many other aspects of personal development can be driven by SMART goals. If a manager believes that a sales team member needs to display better product knowledge, and be more confident in presentations about product features, then goals can be set requesting the sales team member to attend more product briefings and to study the product set themselves. The goal can be made specific and measurable by setting an informal test where the sales team member can give a practice demonstration and be tested by management or peers. Setting a date for this test makes it time-related as well. In sales team management, particularly when managing a large group, there is a danger that goals will be set within a team that conflict with other team members' goals. Or perhaps an individual goal will conflict with a goal for the whole team or business unit. This means sales marketing management professionals need to be aware of the whole goal setting piece to make sure that goals dovetail well. If this isn't done, sales team members can be set at each others throats with the implicit agreement of management; not a state of affairs that is likely to increase sales or market penetration.